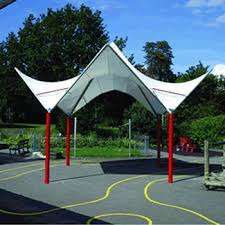 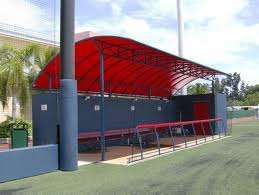 Tensile structure manufacturer in delhi ! 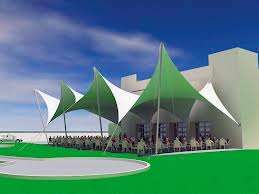 Tensile structure are architecturally innovative forms of construction art that provide designers and end users a variety of aesthetic free-form canopy designs.Custom-made tension fabric structures are engineered and fabricated to meet worldwide structural, flame retardant, weather proofing and natural forces requirements.It provides elegant solutions for architects, designers, general contractors and anyone who is looking to spice up the ambiance of their environment. 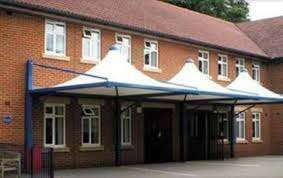 Long lasting canopies with a life expectancy of minimum 5-8 years minimum. 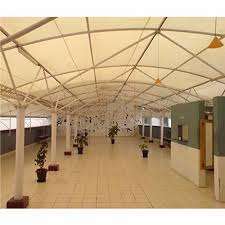 Tensile fabric structure in delhi !